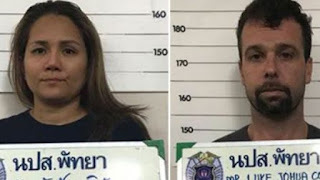 Perth HA Luke Cook, 34, and his Thai wife Kanyarat Wechapitak, 40, were charged in relation to a 2015 plot to smuggle $300m of crystal meth into Thailand and then onto Australia. 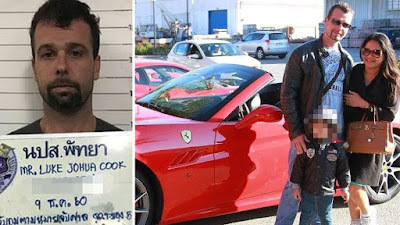 Cook masterminded the shipment of drugs from China to Thailand. The shipment was dumped off the southeastern Thai province of Chonburi after being spotted by Thai authorities. 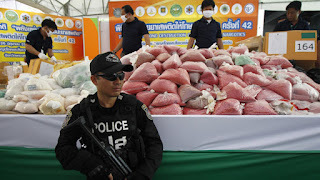 200 kg of the drug later washed ashore at Mae Ramphueng beach in Rayong province in June 2015. Police say Cook was paid $10m by the Hells Angels to buy and store the drugs for later shipment to Australia. 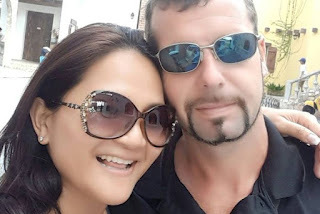 Cook and his wife ran a boat rental business, Global Marine Solutions, and had ties to HA Wayne Schneider, who was murdered in Thailand in November 2015. Its believed Schneider paid Cook to smuggle 500kg of the drug into Thailand. Executions in Thailand are rare. Most likely the couple are facing life imprisonment. 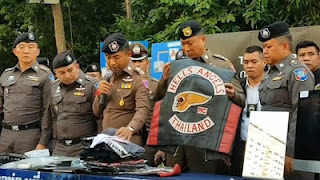 Thai police confiscated assets including luxury cars, property and cash.